The most populous country in the world represents a multitude of business opportunities. If the market is not necessarily ready for every concept coming from abroad, there is one that will not take long to take root in the Chinese culture: sports holidays. 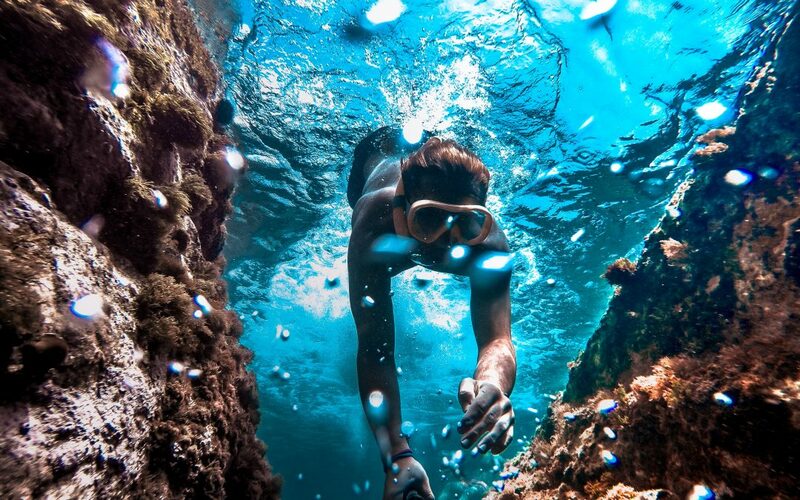 Between the rise of tourism and the awakening of China to recreational sports, we reveal why sports holidays are a niche to develop for Chinese tourists. After China’s opening up to the rest of the world, Chinese tourism grew out of two factors. The first was obtaining the golden weeks, these three weeks of annual leave granted to Chinese citizens. The second was the rise in purchasing power, with the strong encouragement of the government to consume mass to support the growth of the country. Under the impulse of the government, Chinese society has access to leisure. It is inspired by the mores of Westerners on vacation; traveling becomes synonymous with envied social status. Tourism in China remains mainly domestic tourism, because a very small part of the Chinese population has a passport allowing travel abroad. However, given China’s potential – tourism operators rub shoulders with the influx of Chinese tourists into their territory – many countries are facilitating visa procedures for the Chinese, or even simply repealing them. Thailand, for example, is an extremely popular border destination that facilitates visa procedures for Chinese people. In China, where competition is an integral part of every aspect of daily life, sport has always been encouraged in terms of performance and for winning national sports titles. Sport as a simple hobby has recently found its place in Chinese society, where it becomes valued. The possibility of practicing a sport as a hobby therefore becomes a social achievement. While popular sports (badminton, swimming, ping-pong) are still popular, new sports have appeared in China: golf, horse riding, skiing, but also other less media like karting or golf. bodybuilding in room. These new sports have in common their high cost (purchase of equipment, privatized courses, membership card). Their practice is therefore representative of a higher social status. The practice of these expensive sports gives face to the practitioner. It is not so much the pleasure of sport as social display and of oneself, in a social circle of sports fans with the same financial income. Western countries can boast of their technical expertise in many sports in addition to a long history of sports tourism. China has opened relatively recently to all innovations in this field and is catching up with speed. To equip its ski resorts, China has to resort to foreign suppliers, drawing from each country its area of ​​expertise: skis from Austria, snowboards Slovenia, snow cannons of Italy, and lifts of France. Regarding horse riding, China has imported horses from all over Europe and the United States, again the best breeds of each discipline. Regarding classical dance, schools run by Russian teachers have the coast in major cities of China, just as the United States is the destination of choice for the best boxing training. It can therefore easily be said that the expertise of foreign entrepreneurs is recognized in China in the field of sport. Sports installation complexes require international equipment for lack of national production. In this context, offering sports courses in China or abroad for the Chinese clientele is a very relevant tourism offer. The Chinese still have their own country to discover and are also curious from abroad. 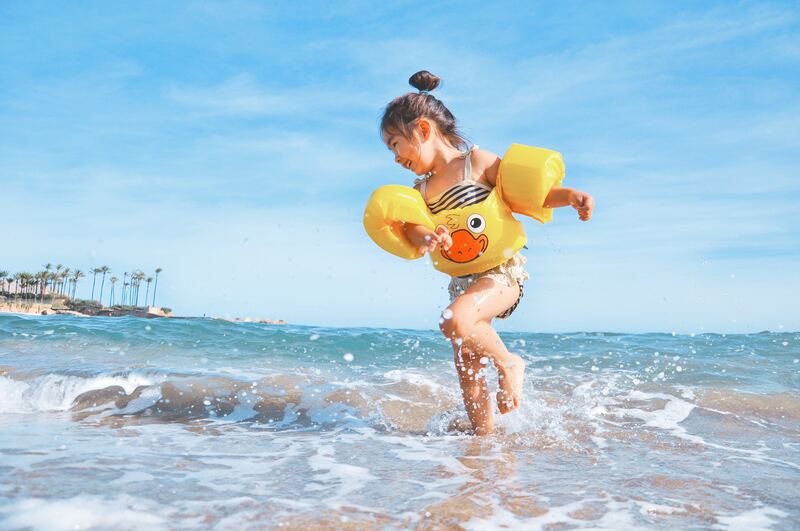 Combining sport and tourism allows them somehow to save time – because the holidays granted to the Chinese are not necessarily flexible – but also to enhance their tourism practices by maintaining their fitness. This problem is very much encountered in the aspirations of Europeans who make tourism: the need to justify themselves, to give meaning to their practices on holiday. 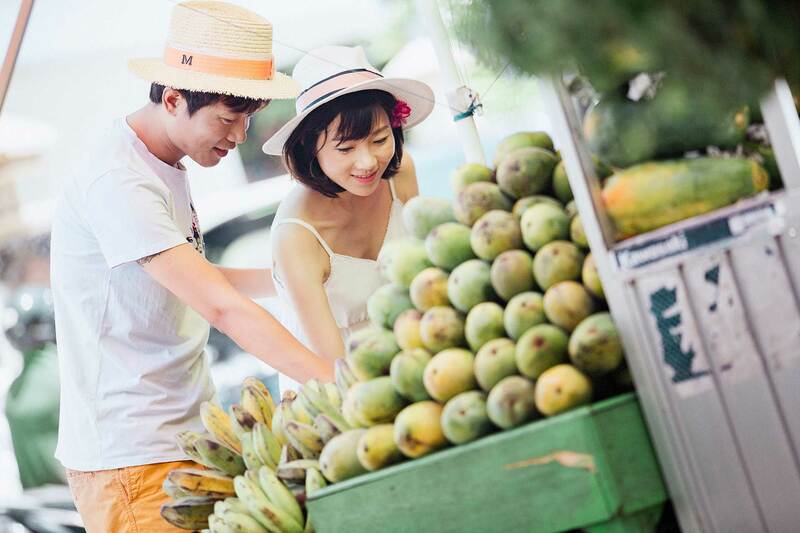 What are Chinese tourists looking for on holiday? The political stability of the destination: rare are the tourists to look for insecurity on holidays! • Mobile payment facilities: Wechat Pay and Alipay are two secure and fast ways to pay for their purchases. No need for wallet: a smartphone is enough. • A symbolic destination with prestigious places, whose visit confers an enviable social status to the tourist. Visiting a known cultural place gives face to the Chinese tourist. • Luxury and modernity: while the countryside is still associated with dirt and poverty in the collective imagination, big cities are synonymous with modernity and wealth. Chinese tourists particularly appreciate modern metropolises and ancient architecture adorned with gilding. It’s always important to have a Chinese website if you want to reach Chinese tourists. A lot of Chinese tourists don’t speak or read english. so it’s very important for you to create a Chinese website.Moreover, you have to be visible on Baidu, the first Chinese search engine with 82%of the market. If you want optimize your website, you have to do the SEO(Search engine optimization) on Baidu. 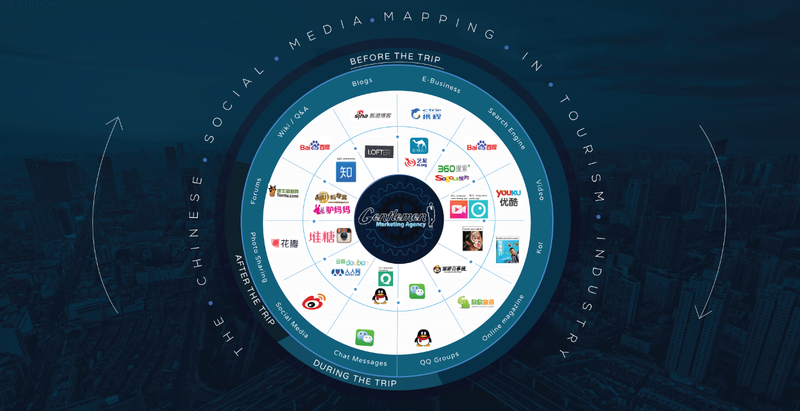 Chinese tourists are super connected, they are a huge fan of social media. This is the reason why social media marketing is taking a great part in the strategy marketing of some travel agency. In Chinese there are two very important social media networks: Wechat and Wieibo, the post used App in China. Wechat have nearly 900 millions active users and weibo 650 active users. all those platforms have a lot of services and functionalities such as pay bill, make a reservation, buy clothes……Also , for helping companies to engage more customers, Wechat launch wechat official account for allowing to users to get the last information about their services and products. So you have to set up payment facilities by Wechat and Alipay when booking the tour. Create a Wechat subscription account so travelers can track offers. A lot of Chinese tourist get their information on travelers forums such as Qyer, Mafengwo, Tuniu….. they read the comments of the others users before to make their own decisions. So it’s always important to be present on these platforms. Explain the concept of sports vacations. • Highlight the benefits of sport in its communication campaign. Sport tourism is doubly prestigious: neither tourism nor recreational sport are still within the reach of every citizen. • Highlight the country’s expertise in the sport concerned. Switzerland is the example the absolute reference for Chinese tourists about skiing. • Transmit a security image through its advertising campaign. • Highlight the art and architecture of the monuments visited as an annex to the sport, because it is these singularities that interest Chinese tourists in comparison with their own cultural heritage. • The ideal is that the image of the destination makes dream and immediately arouses an association of ideas. Having a good reputation is always important. you need to build a strong reputation about your travel agency in order to reach more Chinese tourists. They will search all information about you and your services, if they read some bad comments about you, you will never see them in your agency. So keep your image clean! 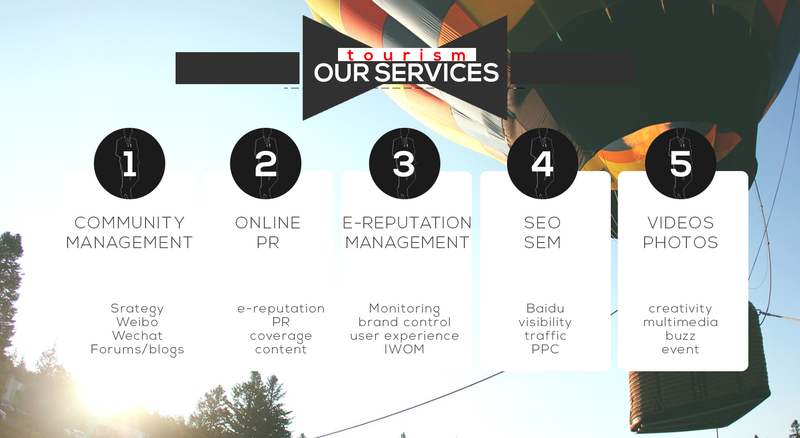 Gentlemen Marketing agency is a digital marketing agency with eight years of experience in the Chinese market. We provide you the the latest innovative marketing strategies for reaching your target in China. Contact us Now! if you have a serious project related to the activity of our agency. We are always happy to help foreign entrepreneurs! We offer customised Scottish Golf Tours.